The Maine Department of Agriculture, Conservation and Forestry would like to invite interested organizations to apply for exhibiting opportunities this September in the State of Maine Building at the Eastern States Exposition in West Springfield, Massachusetts. The State of Maine building currently has 2 remaining exhibit locations and will be accepting applicants for these remaining locations until Friday, March 28th. Over the course of the 17 day fair in 2013, the Big E fairgrounds had over 1.4 Million visitors from New England and surrounding areas. An estimated 850,000 visitors tour the Avenue of States where each New England State has its own building; including the State of Maine which is dedicated to selling and promoting Maine and its culture. This is a great opportunity to showcase products or services that positively represent the State of Maine to a large audience, with two booth size options including 13’x10’ and 13’x20’ measurements. Please visit our website for application materials and more details on this opportunity. Contact us at 287-3494 with any questions you might have on exhibiting at the Big E. Please feel free to share this notification with any party that may be interested in this unique opportunity. 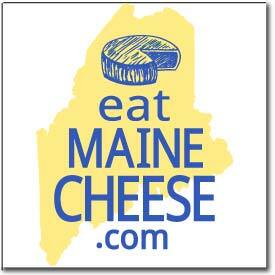 Thank you for your interest in promoting the State of Maine!